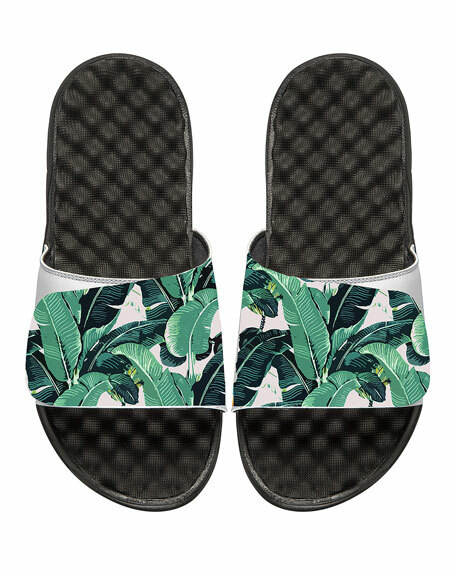 ISlide rubber and fabric slide sandal featuring tropical banana leaf print. Balmain pool slide sandal with logo-printed stripes. One-band upper. Molded footbed. PVC. "Calypso" is made in Italy. 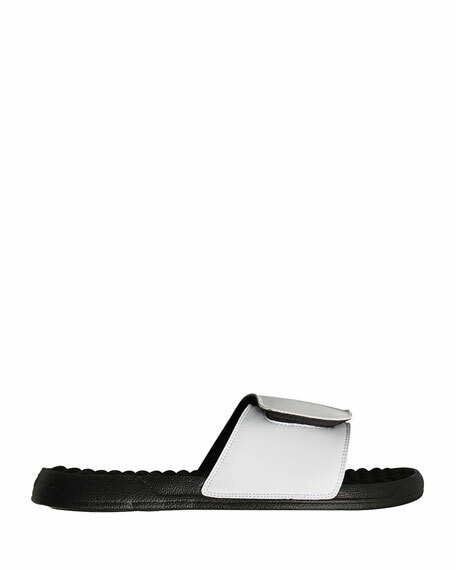 Buscemi slide sandals in chrome-tanned calf leather. Strap across vamp with logo print. Leather lining and footbed. Rubber sole. Made in Italy.